I left Flagstaff nice and early, skipping breakfast as I knew I'd find somewhere soon enough en-route. The first stretch out of town reminded me of the mountain drives from last week - pine covered hills and windy roads. Route 66 runs alongside the I-40 as a frontage road for a while. 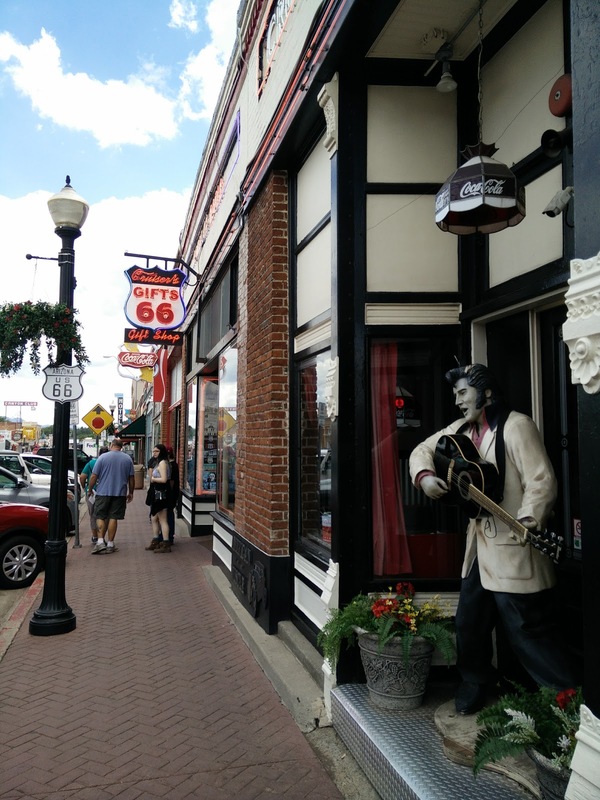 To make things more interesting, there's more than one Route 66. The route changed over the years, and now I had to choose between the pre and post 1941 alignments. Glutton for punishment that I am, I chose pre-1941, as that peeled off into the hills and away from I-40. After a few miles, the tarmac disappeared altogether, leaving a red dirt road. An ominous sign warned me that I was about to enter private land, that I was welcome to keep driving, but any problems were my own responsibility. My Jeep Renegade is a fake SUV - it looks rugged, but it's actually a two wheel drive, four cylinder Fiat 500 in a wolf's clothing - so I wasn't going to risk it. I couldn't get phone coverage to see on Google Maps how long long this dirt stretch was. Looking now, I was right to avoid it - it was dirt road almost the entire way, until it rejoined the more modern Route 66 outside of Williams. I was little sad I'd missed out on an adventure - but equally, it was possible I might have had too much adventure if I'd gone that way. Instead, I doubled back on myself, and continued along the post-1941 into Williams. 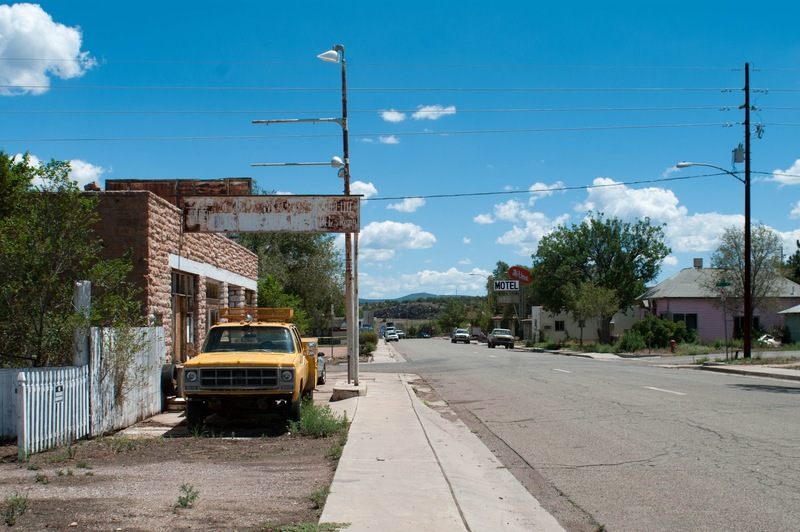 Williams has two claims to fame - it was the last town on Route 66 to be bypassed, succumbing in 1984. It's also where you get the famous steam train to the Grand Canyon. 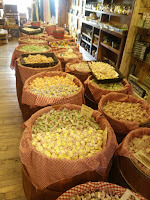 For this reason, Williams has more life than most old Route 66 towns. In fact it's 80% gift shop. Behind the store fronts it's all one huge Western and Route 66 gift shop. 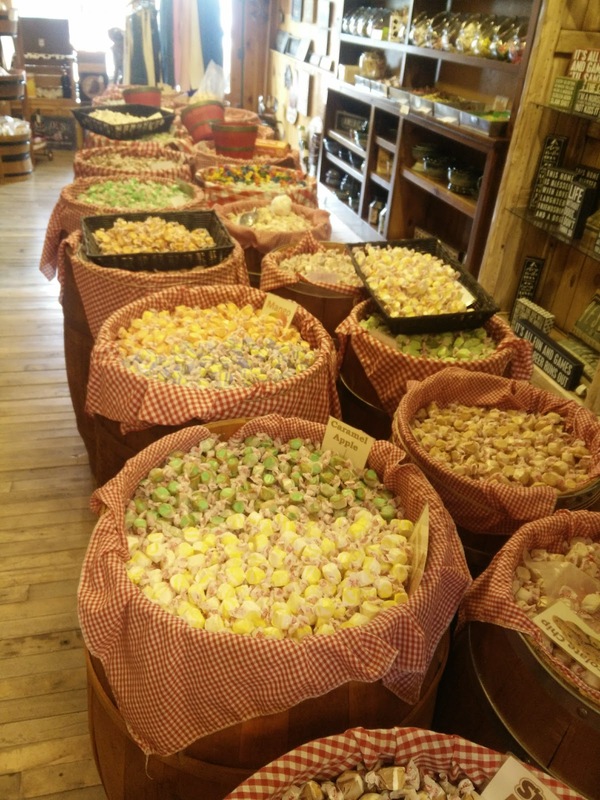 Yup, there's even salt taffy. 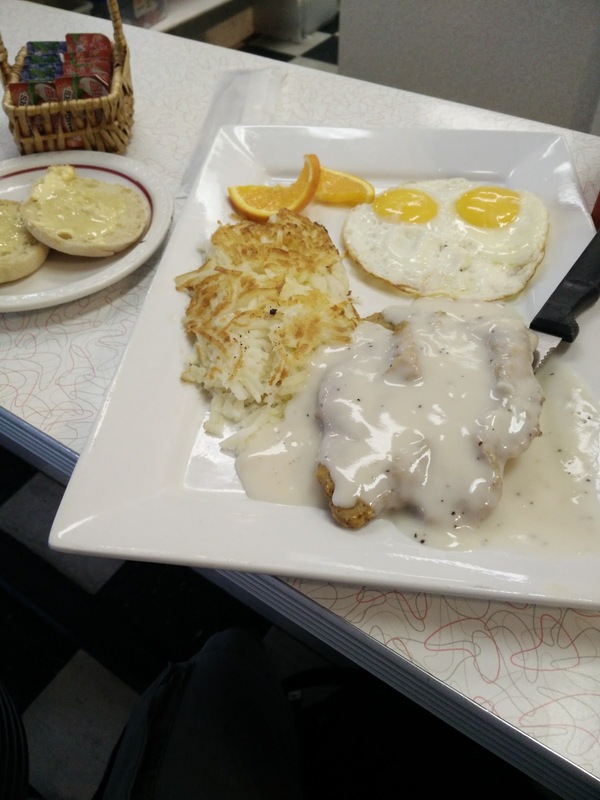 But, the Pine County Restaurant looked perfect for breakfast, and indeed it was. From Williams it was back on the I-40 until the next detour back to the old road, and this time Ash Fork. A much more typical Route 66 remnant this one. There's a few deserted motels, a general store that's been trading since 1930, but now 'for sale by owner', like many other struggling businesses. After Ash Fork, it's a little more I-40, then the longest stretch of proper Route 66 in Arizona, no more hugging the interstate, it's off into the hills. First stop is Seligman, a Route 66 success story. Seligman didn't lie down and die when the interstate bypassed it. 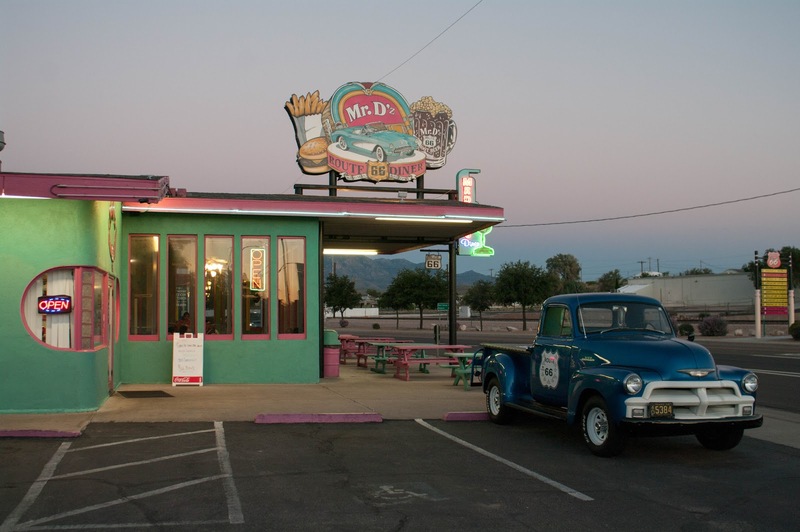 They were the first to realise there might be a nostalgic demand for old Route 66. They got the state of Arizona to preserve the road between Seligman and Kingman, leading to Seligman being named "Birthplace of Historic Route 66". That, and many quirky characterful stores, meant that Seligman has long been a 'must-stop' for people interested in Route 66. Apparently, Seligman is the inspiration for Radiator Spings in the Pixar movie 'Cars'. After Seligman, it's that lovely long stretch into Kingman. There's a few other potential distractions, but I put my foot down and enjoyed the drive to Kingman. Kingman too has been important in the preservation of Route 66. The Route 66 Association was formed here, and there's a good museum too. It was also ridiculously, blisteringly hot when I arrived. After all those warm summer evenings up in the mountains, I forgot how searingly hot the deserts of Arizona (and later California) can be. 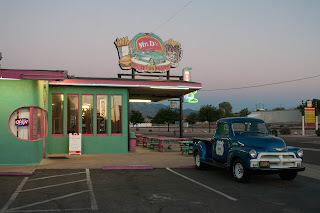 I will hide in my motel until it's dark, then venture out to Mr D'z Route 66 Diner for dinner! Stopped here for lunch as I drove down Route 66. 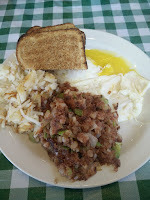 I had the corn beef hash - and couldn't fault it. A little old fashioned, but that's part of the charm! I've always loved this place, a proper Route 66 diner. Clean, bright, fast and friendly - and the food is great too! I came here for dinner and was in search of comfort food. I had the chicken fried steak - absolutely spot on.